You know the feeling, you're sitting at home on the weekend knowing you should be out doing something but unsure of what to do and where. It can be daunting sifting through everything out there on the web, especially when you'd rather be binge watching your favorite TV show. Wouldn't it be great if there was an app that did all of the heavy lifting of planning your social life AND tailored it to your specific interests? Well, there is! Sosh, a website and app backed by the co-founder of Instagram, helps people like you and me explore their city through a list of personalized culinary events, happenings, and restaurants. 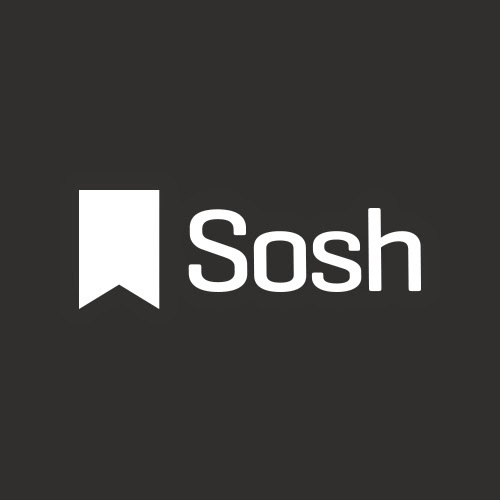 Sosh launched in Chicago on April 15th after successful launches in San Francisco, New York City, and Seattle. In San Francisco, nearly one in six adults is a Sosh member! Clearly, they're on to something. So, what sets Sosh apart from other apps and websites? Sosh stays up-to-date on Chicago's hottest trends, unique outings, and exclusive events using a mixture of technology and human curators. Every activity is personally vetted by Sosh's city experts, wth tips from Tastemakers such as Rick Bayless, Stephanie Izard, and Charles Joly. The app uses a back-end algorithm to recommend things to do based on your personal interests and habits, as well as factors including the weather and time of day. “Sosh isn’t about deals or daily emails. Instead, it’s about sharing wonderful experiences with the people you love. With Sosh on your phone, exploring the world around you becomes both easier and more exciting," adds Rishi Mandal, co-founder and CEO of Sosh. I had the chance to test out the app during the beta launch and I have to say I was impressed. First of all, the user interface is beautiful and easy to navigate. The photography is detailed and bright and makes it easy to find what you're looking for. The app has a variety of capabilities including a function called Here and Now which shows you restaurants and events near your current location, and What's Hot, which shows the items that are trending for that particular week. Pretty much every time you open the app or log on, you're going to have a different and customized experience. If you're not looking for something in particular, you can hit the Explore option to browse a variety of categories including Under $30, Date Night, Get Cultured, and Fit For Foodies. I love how the focus of each listing is on the most unique aspect of the bar, restaurant or event. Instead of simply listing the name of the venue, it highlights the best dishes, cocktails, and other must-trys. Heavy lifting done. While playing around with the app, I found the culinary events to be super helpful. 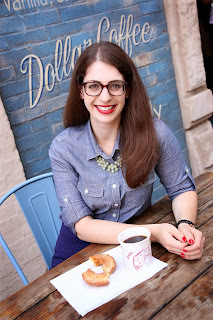 While I had heard of many of the restaurants featured in the app, there were quite a few really interesting events such as beer dinners and cocktail-making classes that were news to me. I loved skimming through and feeling more in-the-know. There is an endless amount of things to do and explore in Chicago, so you can easily spend hours flipping through and staring at the gorgeous Sosh interface. Some of the features I liked most were the bookmark feature which allows you to save items for later and shows you who else has bookmarked the same item, as well as the "I've done this" button which helps the app continue to show you fresh content. Each posting also includes helpful details such as transit info, insider tips, and a brief synopsis, all especially helpful if you're short on time. 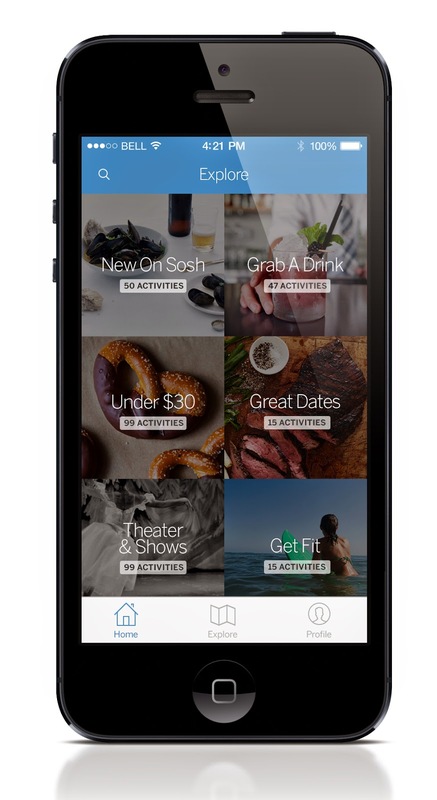 Not only can you use the Sosh app while you're on the go, the accompanying website also allows you to search and plan your social outings at home. You can even receive a personalized email full of recommendations for your weekend, which I found helpful for planning ahead. Check out Sosh online and be sure to download the app, both of which are FREE! Your social life will thank you. Note: this post was sponsored by Sosh, however, the opinions expressed herein are my own.